This is an original hand-silk screened poster for the Tom Sawyer Island attraction at the Disneyland theme park. 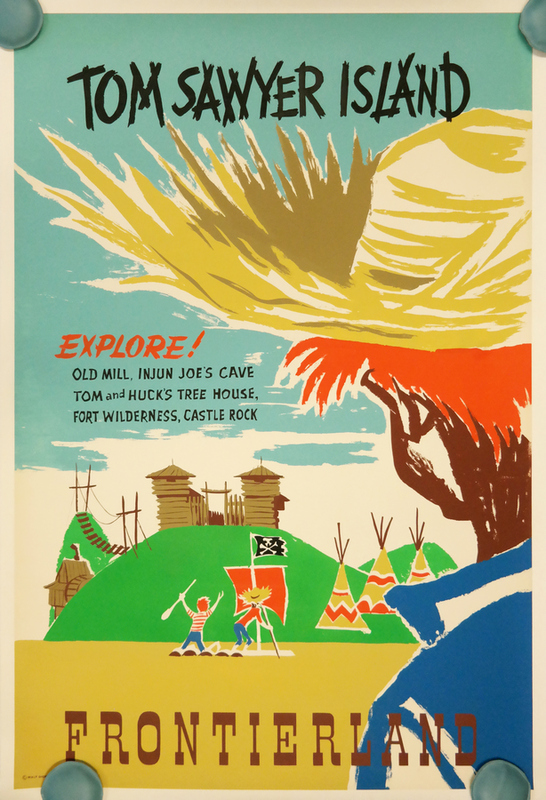 This poster was designed by Bjorn Aronson in 1957 and this version of the poster mentions the Old Mill, Injun Joe's Cave, Tom and Huck's Tree House, Fort Wilderness, and Castle Rock. The poster measures 54" x 36" and is in very good condition with professional linen backing for archival preservation. Ships rolled.